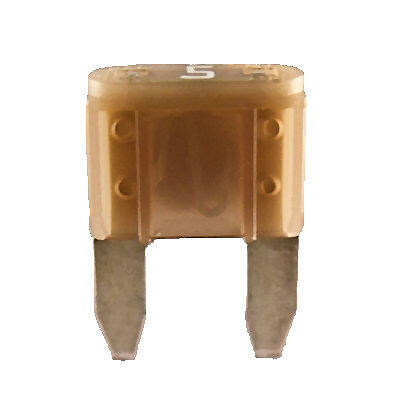 Durite brand 5A automotive mini blade fuse. Tan colour coded for easy identification. 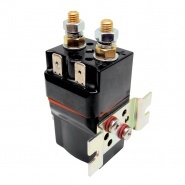 5A continuous rating, 10A blow rating. Pack quantities: 10, 50 and 200 pieces. 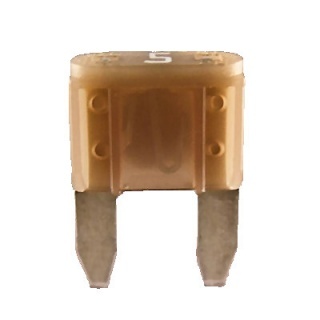 The smaller of the automotive blade fuse family, the mini tan blade fuses offer 5 amp continuous circuit load protection and are used in manufacturers custom fuse compartments, inline fuse holder options are available. 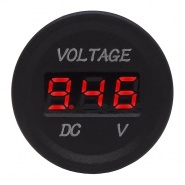 Ratings for 5A continuous use is based on a circuit constant load (always on), the 10A blow rating is based on the circuit load being intermittent. 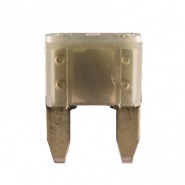 Durite automotive Mini blade 2A grey fuse. 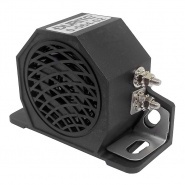 Width: 11.0mm, length including blade: 16.0mm and thickness: 4.0mm. 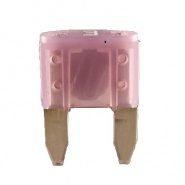 Durite automotive Mini blade 3A violet fuse. 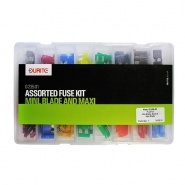 Width: 11.0mm, length including blade: 16.0mm and thickness: 4.0mm.